How To De-Risk Your Telstra Shares (ASX TLS) & Yield Curve Risk | MF & Co.
From the Trading Desk – Welcome to the June edition of the MF & Co. Asset Management monthly newsletter. The biggest bogeyman hiding in plain sight right now has to be the fall in the difference between global short and long-term bonds and a possible inversion of the yield curve. 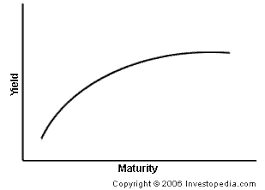 By way of explanation, this is a normal yield curve below. In a normal market, shorter-dated bonds will always pay less yield because the investor is taking less risk as the probability of an adverse event happening during the bonds life is lower. 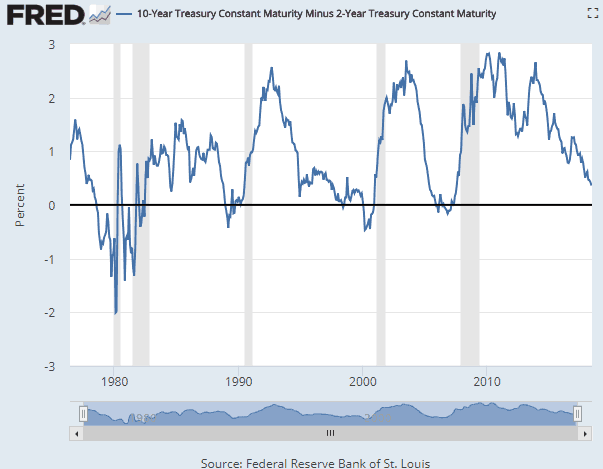 An inverted or flat yield curve happens when investors feel that there is risk coming in the short term, pushing short-term yields higher relative to long-term yields. This is an ominous sign, as, in the past 42 years, this has happened 5 times. The difference is called the spread; when the spread goes negative, this is when the 2-year yield is higher than the 10-year yield. For example, the current spread is 0.38, or 38 basis points with the 2-year yield at 2.56 and 10-year yield at 2.94 (2.94 – 2.56). Grey areas are recessions, the black line is where the spread is zero. Anytime the blue line is below the black is when the yield inverted. As you can see from the chart, since about 2014, the spread has been falling and heading towards zero. In the past year or so, the spread has fallen quickly and we are just 38 basis points away from a flat or inverted curve. According to Bloomberg, the International Monetary Fund and the Organization for Economic Cooperation and Development said that although tax cuts and fiscal spending is boosting the US economy now, those moves are increasing the risk to the global economy by causing too much debt and potentially stoking inflation. However, there is a silver lining. Historically, if a yield curve flattens but falls short of inverting, stocks tend to react positively and investors should enjoy a period of relative tranquillity. On the flip side, this can potentially be the calm before the storm as recessions didn’t come for a year or two after the inversion. Based on this assumption, we still have quite a bit of lead time before a potential recession arrives. So how do we prepare for this event? There are a number of ways. Firstly, by utilising an options income strategy such as selling covered calls can provide a hedge for your portfolio as the income can be used as a minor hedge to reduce the potential fallout from a market correction. In fact, a covered call strategy can halve market drawdowns from 50% to about 25%, like it did in the 2008 GFC. Secondly, by weighing your portfolio more heavily towards blue chips and diversifying across a number of industries, you can reduce the risk of a collapse by any single stock. Even though blue chips have not performed as well in recent times, blue chips are the stocks you can depend on to survive major market corrections whilst paying you a good dividend in the lead up to a recession. This can also be done via an index ETF such as the SPDR ASX 200 ETF (ASX STW). Interestingly, STW now has monthly and weekly options which were introduced in September 2017. 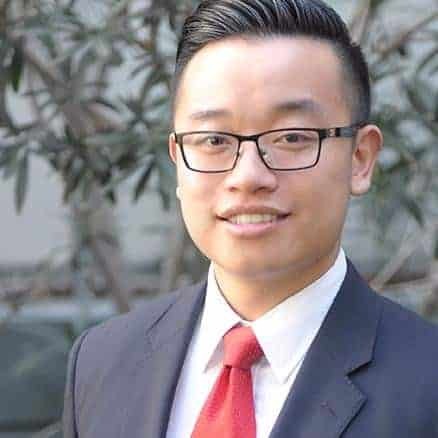 In fact, Evan McQuire, Partner Managing Director of MF & Co. Asset Management was the first person to place a retail options trade over the STW. Finally, you can protect your downside by buying cheap put options out of the money on the index or on an individual stock. This is similar to buying insurance for your car. This is a more expensive approach and requires market timing to execute well and is something that should be considered closer to the event. Talk to us if you want more information on how we can help you prepare and protect your portfolio. Many investors have been holding Telstra shares (ASX TLS) over the past few years for the dividend yield. The problem with buying Telstra for the dividend yield has been the falling share price. For example, if you purchased Telstra shares in early January 2016 you would have purchased TLS for around $5.30. Since 2016 you would have received 5 dividends. The dividends receive have been $0.73 and the franking credits $0.313. For total income of $1.043. The Telstra share price last traded at $2.77. So over the last 2.5 years you have received grossed up income of $1.043 but you have lost $2.53 in capital over the last 2.5 years. Overall if you sold today the result would be a loss of $1.487 or a negative return of 28%. So the question becomes, how do you take a position in Telstra today for the potential dividend but limit the downside risk of capital loss. The answer is options. If you buy Telstra shares today and also buy the 28TH March 2019 $2.77 put you can create a risk-free position. For those not familiar with options, when you buy a put option you have the right to sell the underlying shares at the strike price at any time between when it is open up to the expiry date. So by buying the March $2.77 Put option, you have the right between now and March 2019 to sell your shares at $2.77. 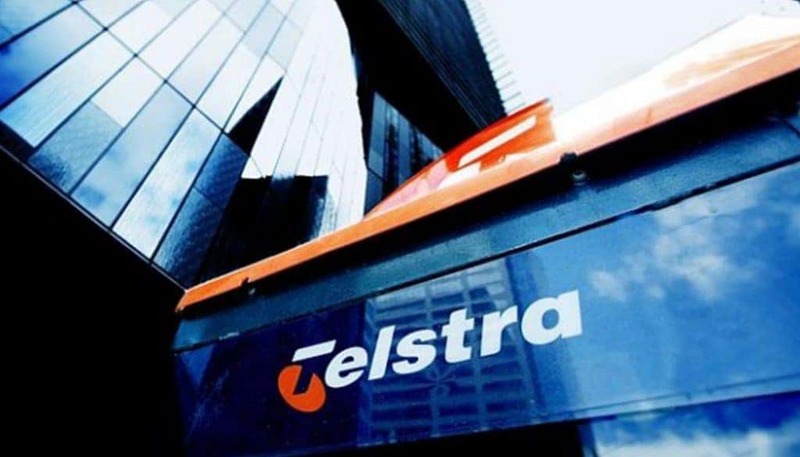 Between now and the end of March Telstra will pay dividends in late August 2018 and late February 2019. If the dividends remain at $0.11 you will receive dividends of $0.22 and franking credits of $0.094. A total income of $0.314. The cost of buying the put options to protect downside of the shares is made up by the dividend and franking credits received. One of the risks of this trade is the potential for the dividend to be reduced. In the example below, if you enter this trade by buying the put option and the dividend remains steady, the worst case after 9 months is a 7c profit, whilst the potential upside is unlimited if the share price recovers. There is also the potential over time if the share price does rally to sell call options and generate income to offset the cost of the put option. In summary, it is not often that you can construct a position with limited downside and potentially unlimited upside. Please note, this example is only done with 1,000 shares and can be scalable to however many shares you hold or may want to buy. Lynas Corporation (ASX LYC) – Growing revenue exponentially since 2014 and net income just went positive December last year. Well-positioned to provide rare earth materials to the growing electronic vehicles market. Fortescue Metals (ASX FMG) – Undervalued compared to its peers and well positioned to supply the fast-growing Chinese market with iron ore. Flight Centre (ASX FLT) – Reliable growth year on year for a decade. Travel market continues to grow with outbound Australian travellers expected to grow 4% in 2018 and 4.2% in 2019. Pioneer Credit (ASX PNC) – Growing at a ridiculous rate with NPAT up 93% and EPS up 57% year on year whilst their competitor Collection House (ASX CLH) had negative growth for the past 2 years, indicating PNC is taking market share. Afterpay Touch (ASX APT) – Emerging company in the late payment services industry and has grown from a few thousand clients in February 2016 to over 1.5 million customers in December 2017. Recently expanded in the massive US retail market. This is a trade our Wealth Management Advisers have done in this month for our Wealth Management clients. In early May FMG appeared to be struggling to get through the $5 level and we were of the view that the stock would pull back. We sold FMG May 4.90 calls and received 7.5 cents on stock we already owned. As we did not receive a lot of premium for this trade, the goal was to hold the position until expiry with the expectation of the option expiring worthless. The trade was successful as FMG went from the high $4.80’s and was at around $4.60 at expiry. On 100 contracts over 10,000 shares (about $48,000 worth), the return was $750 before fees over 17 days, or 23% annualised. The covered call strategy is great for clients that want to hang onto their stock and earn extra income from the holding. Please contact us if you would like to learn more about this strategy. The AU model portfolio had a very poor May compared to the overall market, down 8.73% after fees. The model suffered a triple stop loss event, which is highly unusual and has never happened in the past. All three stop losses managed to protect the portfolio and kept the drawdown to around 10%, half of our maximum target of 20%. The model is still up 7.46% for the year, which is still well above the benchmark SPDR ASX 200 ETF (ASX STW) which is flat for the year. The system is currently in 100% cash now, and once reporting season starts and provided there is earnings momentum, should see the portfolio go back to 100% invested. The US model portfolio has become more active this month, currently at 75% invested. The system was up 3.62% after fees and is still down 2.19% for the year. Last month, we mentioned that the recent rally in the market may trigger more demand, this has happened but the momentum from the US market is still relatively weak. The uncertainty caused by the current administration is causing a bit of a headache but we should see a bit more action as we approach reporting season.